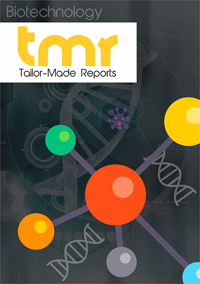 Thanks to the increasing prevalence of target infectious of diseases, the global market for clinic laboratory services is experiencing high growth in its valuation. With the significant rise in the testing sample volume, the demand for fundamental tests, such as HbA1c test, electrolyte testing, and metabolic panels, has increased, which is also propelling this market substantially. However, the safety profile and the usage of the of laboratory services is strictly regulated by the U.S. government via the Clinical Laboratory Improvement Amendments (CLIA). This control of the FDA over the lab-based test may slowdown this market to some extent in the near future. Clinical laboratory services find significant application in drug discovery and development, toxicology testing, bioanalytical and lab testing, clinical and preclinical services, and cell and gene therapies. The expanding application range of these services in the medical and healthcare industry is projected to bring in revenue in this market over the next few years. With the increasing research activities in the pharmaceutical industry directed towards drug discovery and developments, the leading players are focusing aggressively on technological advancements in these services. In a bid to enhance their presence, the focus of these players may shift towards mergers and acquisitions in the years to come. Clinical laboratory services are a crucial part of the medical and healthcare industry. All sorts of diagnostic tests ranging from genetic analysis to blood tests are accomplished in these clinical laboratories in order to diagnose various diseases. Clinical laboratories provide services and information which help in maximizing the required deliveries in the healthcare system such as test results and diagnostics. It provides and assures correct test results that helps doctors to make accurate decisions related to diagnostics and therapeutics through various healthcare resources. It aids professionals to begin, adjust, and also put a halt to a course of treatment which would be met halfway in the absence of efficient clinical laboratory services. According a World Bank data, the global population is likely to surpass 7 billion by 2016 with the number of people suffering from various diseases also rising. The need for early diagnosis of diseases along with technologically advanced healthcare services is likely to propel the market growth for clinical laboratory services. The global market for clinical laboratory services is expected to witness substantial growth over the coming years owing to the growing geriatric population and rising awareness among patients regarding early diagnosis of diseases. The demand for clinical laboratory services is gaining momentum with time owing benefits such as decreased frequency of physician visits and short hospital stays. Moreover, growing awareness pertaining to the early diagnosis of conditions in endocrinology, oncology, and gynecology is anticipated to further bode well for the growth of the global clinical laboratory services market. With the growing aged population, the susceptibility of patients towards obtaining infectious diseases is also rising, thus also giving rise to neurological and cardiovascular diseases. The industry is also likely to benefit from the adoption of the newly developed advanced products such as companion diagnostics, biochips, and microarrays. The medical or clinical laboratory service market is governed by the existence of an ambiguous regulatory framework. This type of stringent regulatory framework is expected to limit the growth of the global clinical laboratory services market in the coming years. The regulatory framework of the market is set by organizational bodies such as the U.S. CE and FDA. There are basically no standard regulatory guidelines managing the diagnostic sector in emerging economies such as China and India. The dearth of sophisticated regulations and policies in developing countries with untapped opportunities is anticipated to inhibit the market growth. To gain an established place in the market and present high-end clinical laboratory services in order to perform better, many leading companies are entering into strategic agreements, developing new products, and getting into mergers and acquisitions. One such recent event is when the industry giant LabCorp acquire Spokane-based PAML: Pathology Associates Medical Laboratories. Similarly, in the recent past, Abbott Molecular collaborated with Merck for developing and evaluating FISH-based companion diagnostic tests for the investigational cancer therapy of Merck. Region-wise, the global clinical laboratory services market can be segmented into North America, Asia Pacific, Europe, and the Rest of the World. North America is likely to emerge as a prominent region in the global market owing to the presence of large volumes of tests and rising adoption of technologically advanced diagnostics. Europe is also expected to mark a presence in the market with growing awareness among consumers and abundance sophisticated diagnostic tests. The global clinical laboratory services market has leading companies such as Genptix Medical Laboratory, LabCorp, Sonic Healthcare, Quest Diagnostics, Abbott Laboratories, and Labco S.A., among others.